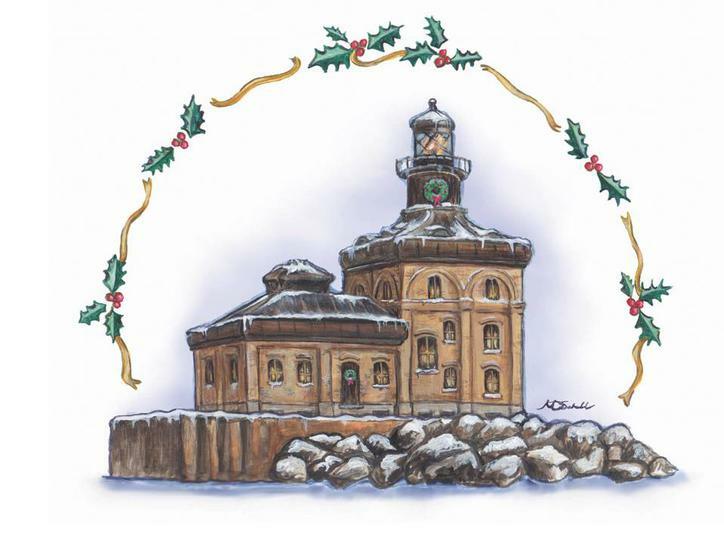 The Christmas Gathering will be scheduled for 2018. 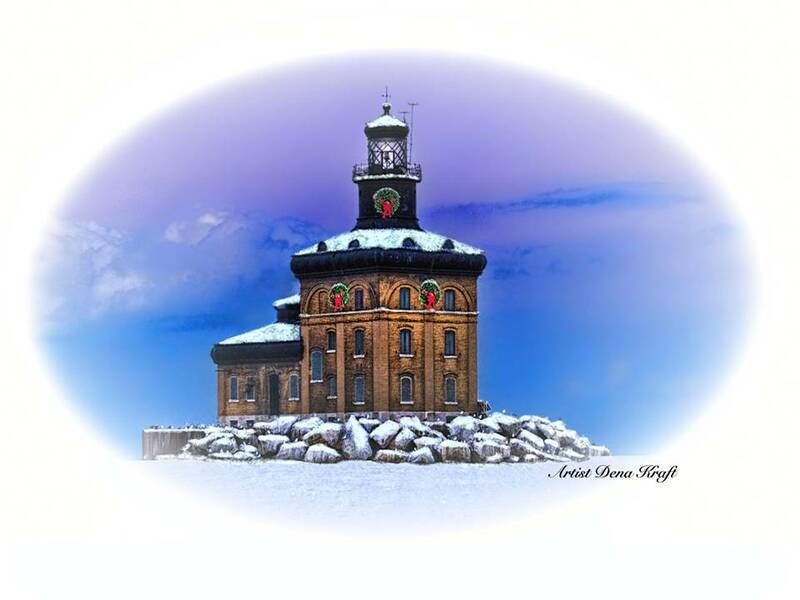 As the event comes closer additional information will be posted. 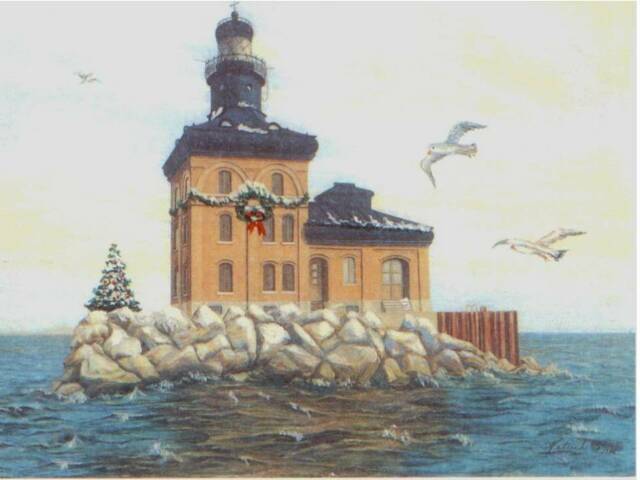 The Christmas Gathering combines the November and December meetings. 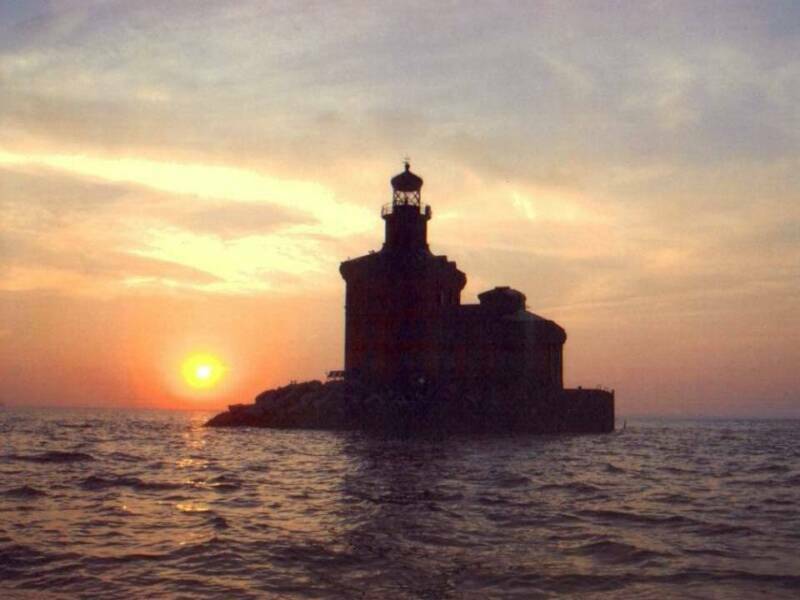 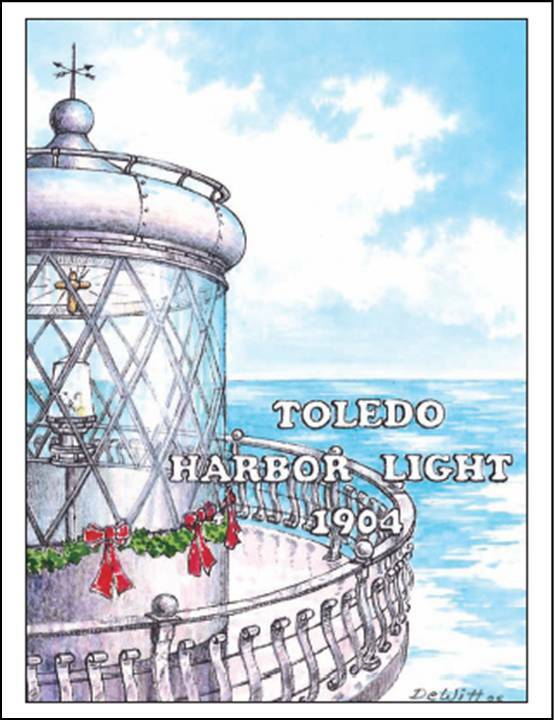 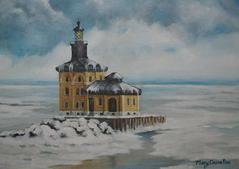 The Toledo Lighthouse Society offers a Christmas Card each year. 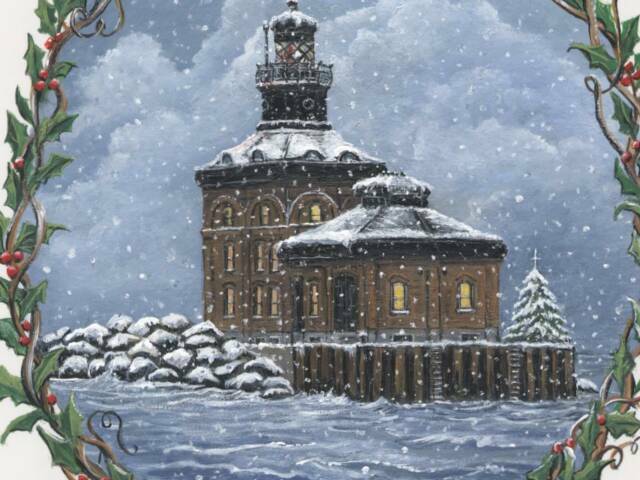 The 2016 artist is Melissa Dietz-Schallail. 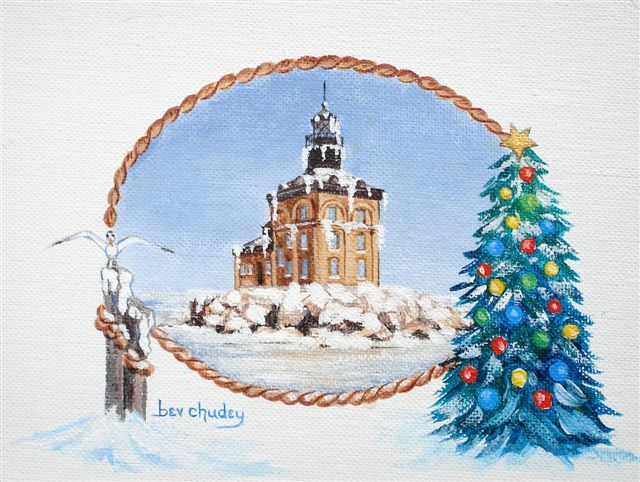 The first card was in 2005, artist Kathy Clark, 2006 artist Warren DeWitt, 2007 artist Eileen Hetrick, 2008 artist Gail Wonnel, the 2009 artist Bev Chudey, the 2010 artist, Dena Kraft, the 2011 artist Gerald Hill, the 2012 artist Aaron Bivins, the 2013 artist Mary Segur, the 2014 artist Mary Roe, in 2015 Gail Wonnell. 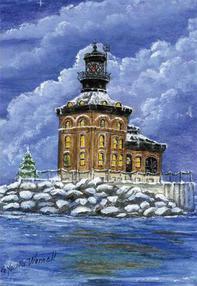 For the 2011 card, there are Gerald Hill signed numbered prints avaialble. 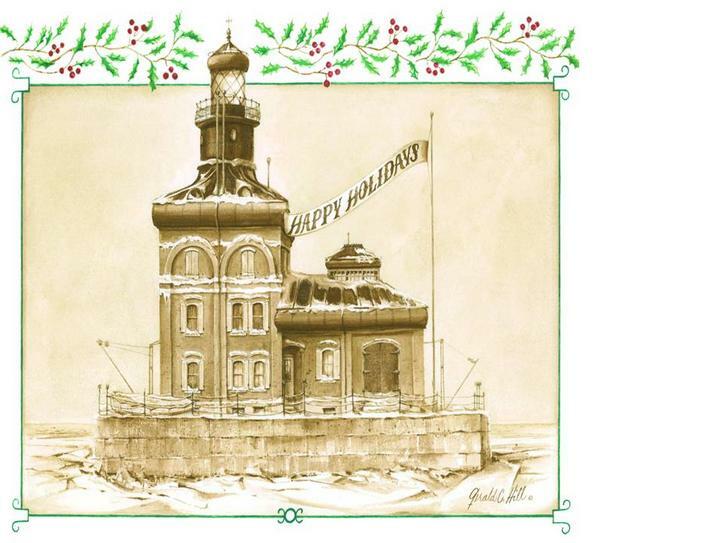 Artist Hill was a National Geographic award winning artist 2015 and 2016 cards can be ordered for $2 for one, $15 for ten; $40 for 30 and $55 for 50. 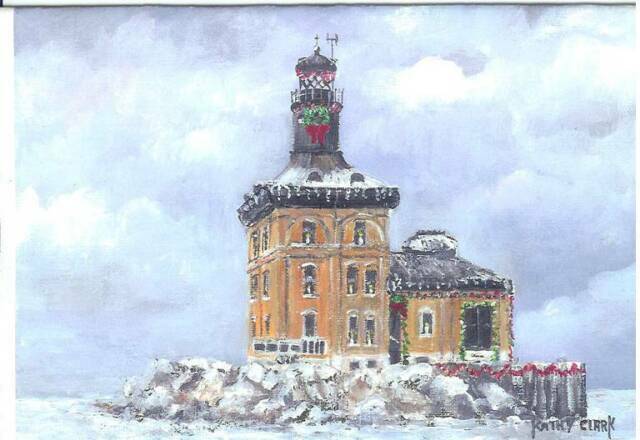 Email sandylakeerie@aol.com or call 419-691-3788 The Christmas Cards will be displayed at the lightouse when restoration is completed. 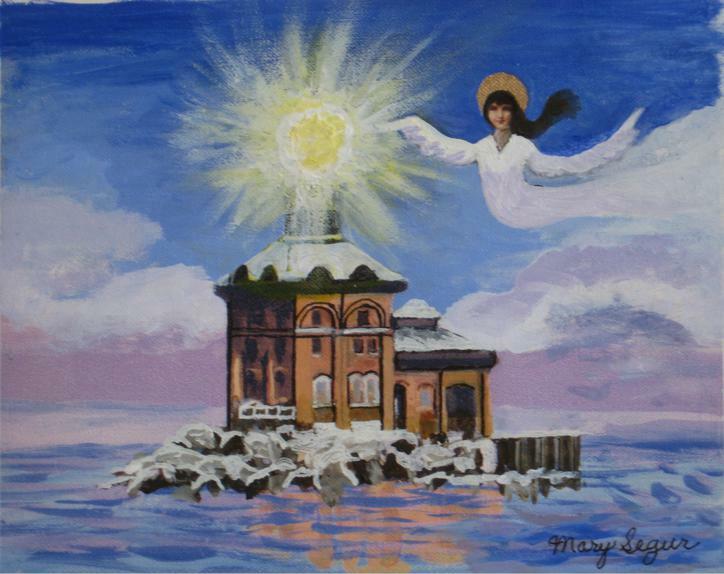 Cards are also available at the festival and at Marblehead/Lakeside in the fall.